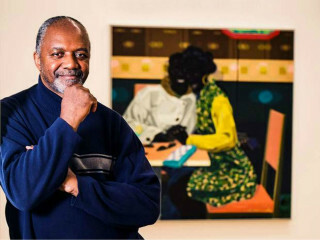 Internationally renowned artist Kerry James Marshall will keynote the Community Artists’ Collective’s annual luncheon. Marshall, recipient of a multitude of grants and awards, including the 1997 MacArthur Foundation Genius Grant, uses painting, sculptural installations, collage, video and photography to comment on the history of black identity both in the United States and in Western art. He is well known for paintings that focus on black subjects historically excluded from the artistic canon and has explored issues of race and history through imagery ranging from abstraction to comics. His works are in the permanent collections of more than 60 museums and corporate collections. Beverly Harmon, Alton LaDay and Joy Sewing will serve as co-chairs of the event, which benefits the community outreach programs of The Collective, a nonprofit 501(c)(3) organization. Carolyn Farb will receive the inaugural Lester Marks Patron of the Year Award for a lifetime of contribution to Houston's artists' community.